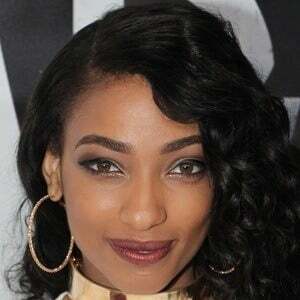 R&B singer, rapper and reality television personality also known as LeA who is most famous for her appearances on the Bravo reality show First Family of Hip-Hop. Her debut mixtape, 808's and Leggings, was released in 2014. She was raised in New Jersey and appeared on an episode of MTV's Super Sweet 16. She has served as a Teen Ambassador for the United Nations. Her famous family includes Leland Robinson, Joseph Robinson and Rhondo Robinson. She is the granddaughter of Sugarhill Records founder Sylvia Robinson.